The 27th of August is approaching and is the date that marks the start of the Caravan Salon Exhibition. Between then and the 4th September, a huge number of people, interested in every aspect of campers, will visit the exhibition in Düsseldorf. Because of the success of the exhibition in previous years, VB-Airsuspension will be present in Dusseldorf with one inside stand and one outside stand. On both stands, a variety of new developments that we are busy with will be shown. Our outside stand will be outside at the entrance of Hall 13 and, as previously, VB-Airsuspension will be sharing the inside stand with the companies E&P Hydraulics and Linnepe GmbH. The three companies are the technology leaders in each of their fields, and are members of the ‘C3, Competence Circle’. We will combine at the exhibition to create a Competence Centre. 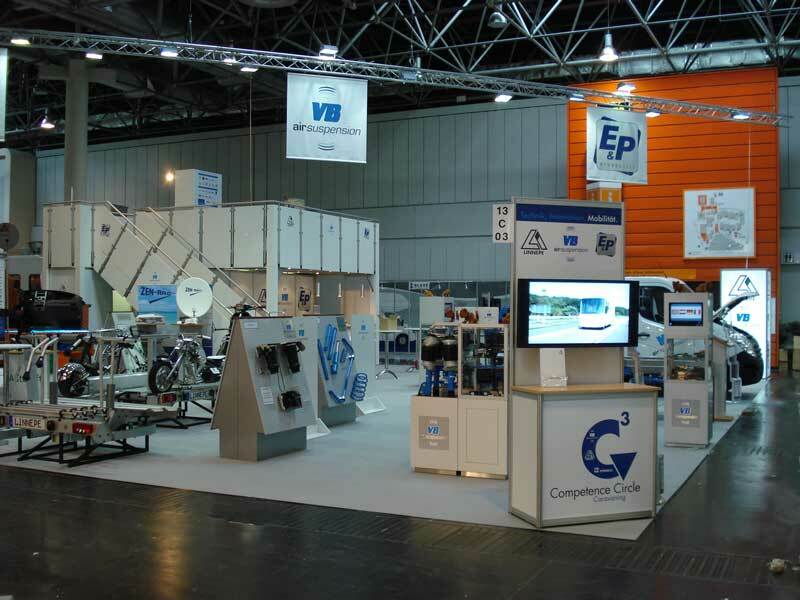 Located in Hall 13 (stand number…), the idea of the Competence Centre is to showcase, in one place, the highest quality products available for each specialist area. Feel free to visit us to discuss how we can enhance your vehicle and your camping experience. VB-Airsuspension and the C3 collaborating companies hope to see you on one of these days. The picture bellow gives an impression of the stand from last year.